Akagami no Shirayukihime is a Japanese shōjo manga written by Sorata Akizuki. It was serialized in Hakusensha's monthly shōjo manga magazine, LaLa DX but has since moved to LaLa and is published in collected volumes by Hakusensha. An anime adaptation produced by Warner Entertainment Japan, Hakusensha, and Studio Bones aired in Japan between July 6, 2015 and September 21, 2015. A second season has been announced to air in Japan on January 11,2016. 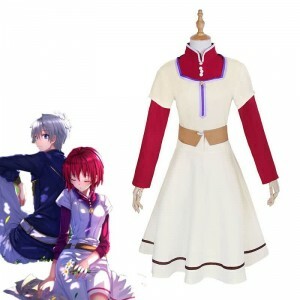 RoleCosplay online anime costume store provides a complete series of costumes for Akagami no Shirayukihime roles, including the famous Shirayuki, Zen Wistalia, Shirayuki, etc. 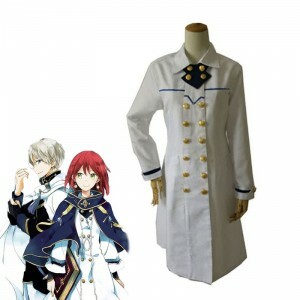 You can find the costume of Shirayuki, Zen Wistalia in our rolecosplay. There are also many kinds of Akagami no Shirayukihime, such as Shirayuki, Zen Wistalia, Shirayuki, etc.